3) Tap / Click on the photo to see what shop is next in the loop! 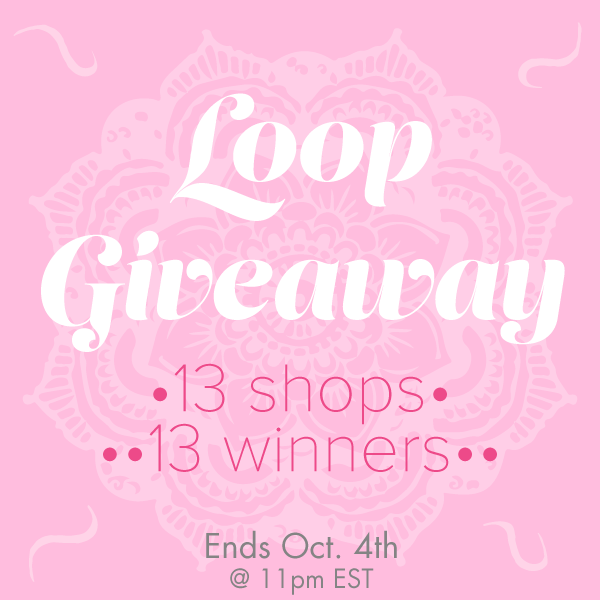 •• Giveaway ends (10/4) at 11 pm EST , winners will be announced within 24 hours! **Please note this is in no way sponsored or endorsed by Instagram, Inc. By entering, you confirm that you are at least 13+ years of age, and release Instagram of any and all responsibility and are adhering to Instagram’s Term of Use.